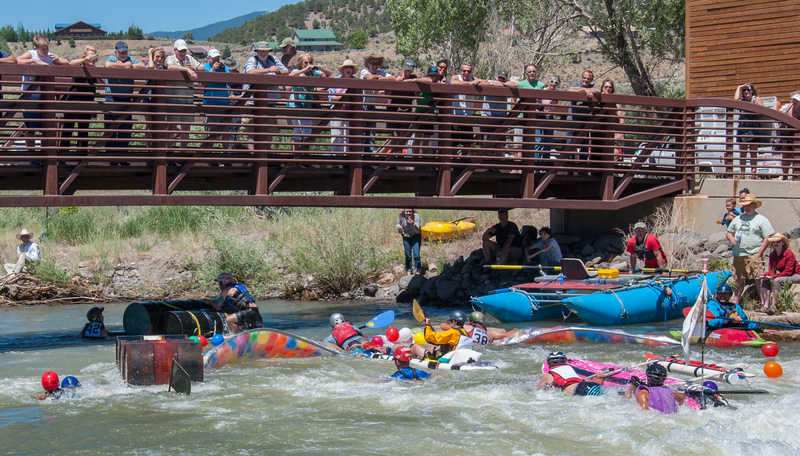 Ridgway River Festival (RiverFest) is a family-friendly celebration of the Uncompahgre River and our community with all-age river races, live music, local food and drink, kids’ activities, watershed educational and cultural programs. The highlight of the day is the infamous “Junk of the Unc” race in which boaters maneuver their craft, constructed from scrap materials not intended for river travel, through whitewater rapids and others’ junk, trying to keep it all intact for the 0.5 mile finish line. RiverFest is produced by the Uncompahgre Watershed Partnership, a Ouray County non-profit watershed group dedicated to helping protect the economic, natural, and scenic values of the Upper Uncompahgre River Watershed. Check out the 2016 Festival Schedule.